Early Kentucky settlers thought the entire Bluegrass region was a garden spot. "We felt ourselves as passengers through a wilderness just arrived at the fields of Elysium, or at a garden where there was no forbidden fruit," gushed Daniel Boone&apos;s companion Felix Walker, in the late 1700s. As cabins began to dot the wilderness, so did gardens. Writings from the early 1800s described Kentucky cabins adorned with climbing roses. 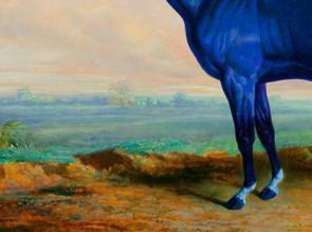 By the 1830s, a visitor noted that the elegant mansions of the Bluegrass were "surrounded by gardens and pleasure grounds, adorned with trees and shrubs, tastefully disposed." The gardening traditions in Lexington and the surrounding area continue to delight visitors today. Garden enthusiasts can enjoy spots ranging from formal gardens to sweeping expanses of wildflowers. Bluegrass Note: The fertile soil of the Bluegrass has been legendary since the earliest settlers arrived. "Plant a nail at night and it&apos;ll come up a spike by morning," boasted a Kentuckian to a visitor in the early 1800s. At Ashland, The Henry Clay Estate, beautiful iron gates lead into a traditional English parterre garden. The six parterres, or sections, feature a wide variety of trees, shrubs, perennials, herbs, roses and annuals. Benches and chairs provide delightful spots in which to rest and admire, paint, or read the free garden brochure available from the estate visitor center. Formal gardens have been a part of the estate since the days of Clay himself. The famous 19th-century statesman collected landscaping ideas while on trips of state to England. The current half-acre garden, designed to reflect the style of a formal garden of Clay&apos;s era, was begun in 1950 and is maintained by the Garden Club of Lexington. The Ashland Garden is open seasonally Tuesday through Sunday at 10:00 a.m. The gates are locked at 5:00 p.m.; admission is free. (There&apos;s a charge to tour the house.) 120 Sycamore Road. (859) 266-8581. The Lexington Cemetery is the final resting place of famous Lexingtonians, but many visitors come to see its living attractions- the trees, shrubs, plants and flower beds that have gained it a national reputation as one of America&apos;s most beautiful cemeteries and arboretums. The cemetery includes more than 200 species of trees, from flowering dogwoods and magnolias to anhistoric American linden that was growing when the U.S. Constitution was adopted in 1787. Lovely flower gardens and three lakes add to the park-like setting. The summer begonias and some of the other plants are grown in the cemetery&apos;s own greenhouse. Pick up a free self-guided tree tour in the office between 8:00 a.m. and 4:00 p.m. Mondays through Fridays, 8:00 a.m. to 12:00 p.m. Saturdays. The cemetery gates are locked at 5 p.m. 833 West Main Street. (859) 255-5522. Bluegrass Note: The formal garden at the Lexington Cemetery was inspired by the famed Butchart Gardens in Victoria, British Columbia. A 2.2 mile horticultural "Walk Across Kentucky" is just one of the attractions at The Arboretum on the University of Kentucky campus. In 1995, more than 1,000 trees and shrubs gathered from Kentucky&apos;s seven geophysical regions were planted. The arboretum also includes herb, rose, water and butterfly gardens, and an All-American Trials vegetable garden. Numerous special events are held throughout the year, including a plant exchange in May, Halloween activities and special Arbor Day celebrations in April. There is a special Kentucky Children&apos;s Garden that is open March through October. The arboretum is open daily, dawn to dusk. It is located at 500 Alumni Drive between Nicholasville and Tates Creek roads. Admission is free. (859) 257-6955. Several of the historic homes open for tour in Lexington include small period gardens. There&apos;s no admission charge just to visit the gardens. Herb and flower gardens at Waveland State Historic Site, 225 Waveland Museum Road, include plants appropriate to the antebellum era. (859) 272-3611. Behind the wrought iron fence at the Hunt-Morgan House, 201 North Mill Street, you&apos;ll find a small "city garden" with a gazebo. (859) 253-0362. A formal 19th-century herb and perennial garden, charming and compact, graces the backyard of the Mary Todd Lincoln House, 578 West Main St. (859) 233-9999. While not a "garden" in the traditional sense, Raven Run Nature Sanctuary, is a great place to view Kentucky wildflowers spring through fall. More than 300 different varieties of wildflowers, including blue-eyed Mary and other rare varieties, can be found at Raven Run. Trails open daily, 9 a.m. to 4:30 p.m.. Guided nature walks are given monthly. 5888 Jacks Creek Pike. (859) 272-6105. Garden enthusiasts might also like to take a driving tour through some scenic Lexington neighborhoods. The Chevy Chase/Ashland Park neighborhoods (streets around and east of Ashland, The Henry Clay Estate); and the Kenwick neighborhood (Mentelle Park, Victory and other streets off Richmond Road east of downtown), are beautifully in bloom, spring through fall. Visit the picturesque greenhouses at Michler&apos;s Florist and Greenhouses to see an extensive garden plant selection. The first of seven large greenhouses on this spot was built in 1907 by Charlie Michler, and the operation has stayed in the family all these years, thriving right in the middle of the historic Aylesford neighborhood. Catch current owner John Michler and pick his brain about native Kentucky plants. His encyclopedic knowledge will impress you. While you are there, stop in at his Kentucky Native Cafe for a sandwich, salad or locally crafted beer. It&apos;s open seasonally. (859) 254-0383. Bluegrass Note: Celebrated garden designer, author and lecturer Jon Carloftis maintains a home (and garden!) in Lexington. His creations have been featured in Southern Living, BMW Magazine and Country Home. Locally, he designed the rooftop gardens at L.V. Harkness and Dudley&apos;s on Short. Check out this colorful brochure endorsed by Jon on Gardens and Architecture in Lexington. When Margaretta Mason Brown came as a bride to Frankfort, Kentucky, in 1801, from New York, she brought rose cuttings with her. The descendants of some of her roses bloomed until the 1960&apos;s in the three-acre garden at Liberty Hall, 218 Wilkinson Street. With its boxwood hedges, exotic gingko trees and exuberant flower beds, the garden is maintained in the Colonial Revival-style in which Margaretta&apos;s granddaughter kept it in the early 1900s. The garden is included in the book "Grandmother&apos;s Garden: The Old-Fashioned American Garden 1865-1915," by May Brawley Hill. There&apos;s no charge to tour the garden, Liberty Hall or the adjacent Orlando Brown House. The houses are closed Sundays. (502) 227-2560. Kentucky&apos;s most unusual garden is found on the grounds of the Kentucky State Capitol in Frankfort. The Floral Clock is made up of 13,000 plants. The face of the clock is 34 feet across, and a special mechanism enables the quarter-ton hands to move. The whole blooming thing sits in a 100-ton planter above a reflecting pool. Open daily dawn to dusk. Free admission. (502) 564-3449. Frankfort is 27 miles west of Lexington via I-64 or US 60. Bluegrass Note: They are poisonous when raw, but early settlers roasted the seeds of the Kentucky Coffeetree to make a coffee substitute. Black, leathery pods filled with bean-like seeds hang from branches which are bare most of the year. The Coffeetree was the official Kentucky State Tree until 1994, when the Legislature bumped it for the more "popular" Tulip Poplar, a member of the magnolia family. About 100 varieties of trees - including many varieties of flowering dogwoods -- numerous flowering plants, a rose garden and a fish pool are found in the five-acre Nannine Clay Wallis Arboretum, 616 Pleasant Street in Paris. The arboretum is the "back yard" of the headquarters of the Garden Club of Kentucky. View the gardens daily, sunrise to sunset, unless a special event is taking place. Admission is free. (859) 987-6158. Paris is 18 miles north of Lexington via US 27/68. Although the main attractions at Shaker Village of Pleasant Hill are the beautifully restored buildings, garden enthusiasts will also enjoy the outdoor views at America&apos;s largest restored Shaker community. There are herb and vegetable gardens at the village, planted and tended as they might have been when this was a thriving 19th-century Shaker community. Shaker Village is about 25 miles southwest of Lexington via US 68. It&apos;s open daily; admission charged. (859) 734-5411 or toll-free, (800) 734-5611. On the way to Shaker Village, avid gardeners will want to stop at Springhouse Gardens, just south of Lexington on US 68 across from The Golf Club of the Bluegrass (formerly Widow&apos;s Watch Golf Course). A natural spring, dry-laid limestone fences and towering sycamores lend a rustic feel to this Central Kentucky garden center. Owner Richard Weber has incorporated many artifacts found on the property, formerly part of a tobacco farm, into its design. Even a child&apos;s old red wagon discovered in the barn found new life hauling plants. More than just a nursery, a variety of permanent display gardens including water gardens and beautifully constructed shade pavilions make Springhouse a year round destination. You are welcome to wander the 6 1/2 acres. Hours vary from season to season. 185 West Catnip Hill Road. Call (859) 224-1417. A joint project between Georgetown&apos;s sister city, Tahara, Japan, and local garden enthusiasts, Yuko-En on the Elkhorn flourishes on the banks of Elkhorn Creek. It is the Official Kentucky-Japan Friendship garden and one of the largest Japanese gardens in America. Complete with waterfalls, arched bridges and a Zen rock garden, you can let your mind escape to another place. 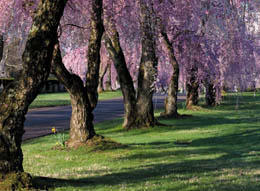 Take the short drive to Georgetown and see native Japanese maples, irises and other flora. Open daily from dawn until dusk. 700 Cincinnati Pike, Georgetown. (502) 863-5424). Bluegrass Note: Kentuckians have also made their mark in vegetable gardening. Bibb lettuce, also known as limestone lettuce, was developed by amateur horticulturist John B. Bibb in his backyard garden in Frankfort, Kentucky, sometime around 1865. You can walk by the Bibb-Burnley House on Wapping Street in Frankfort. Floracliff, a 287 acre nature preserve in southern Fayette County, has an astounding number of ancient trees. one tree, known affectionatelly as "The One," is a Chinkapin oak dating to 1611. Twelve other trees pre-date Daniel Boone and James Harrod. Floracliff&apos;s uplands and gorges are one of the best places to view wildflowers in the Bluegrass Region.The sanctuary is open by appointment only, but offers a variety of walks, events, and hands-on workshops to interested individuals and groups. (859) 296-0986. The 14,000 public acres at Bernheim Forest, includes a 600-acre landscape arboretum with more than 1,800 labeled varieties of plants, a visitor center and three lakes. Bernheim Arboretum includes the largest collection of American hollies in North America. The arboretum includes herb gardens, a butterfly garden, water gardens and other perennial and annual plantings. Bernheim is open year-round, daily except Christmas Day and New Year&apos;s Day, from 7:00 a.m. until sunset. 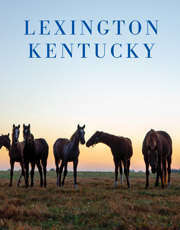 It&apos;s located on Ky. 245 off I-65 near Clermont, Kentucky, about 58 miles from Lexington. Admission free during the week; there&apos;s a $5 per-vehicle charge on weekends and holidays ($10 for vans and RVs). (502) 955-8512. Gardener-to-gardener inspiration and idea-sharing were what Mary Ellen Pesek and her husband Mark Lawhorn had in mind when they decided to open their six acres of gardens to the public. The couple&apos;s Big Bone Gardens, across from Big Bone Lick State Park, includes seven water gardens, herb gardens, a Gnome garden and other theme gardens, with an emphasis on naturalistic landscaping and organic care. It&apos;s open to the public Saturdays and Sundays from mid-April through mid-July. Hours are 12 p.m.- 5 p.m. Big Bone Lick is about 72 miles from Lexington off I-75. Free. (859) 869-1315. We&apos;ve found the many people who are interested in our Gardens Ideo Guide article are also interested in our article on Agritourism. By Teresa Day, a freelance travel writer based in Georgetown, KY.